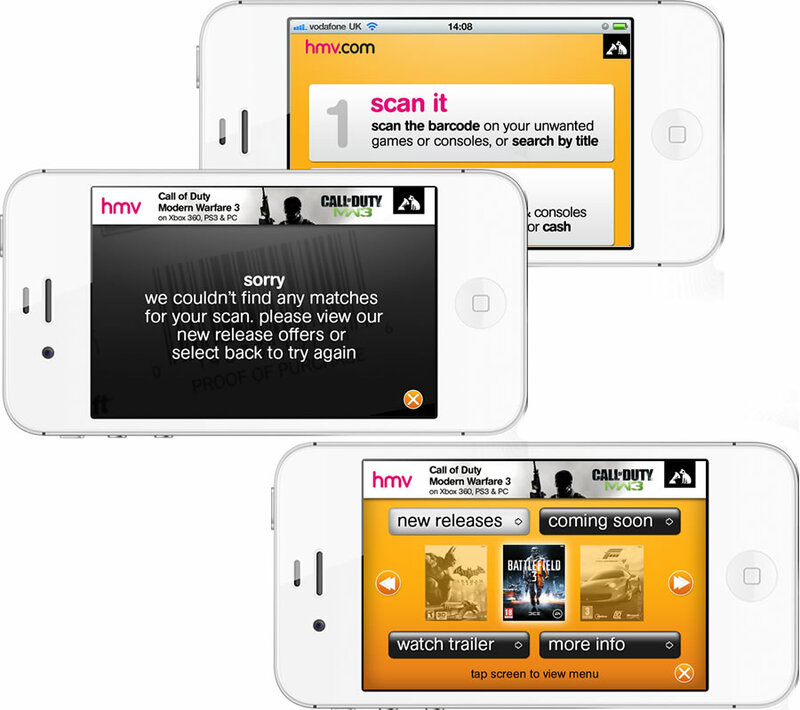 The initial scope for the HMV App project involved development of the iPhone project alongside a Mobile optimised website mirroring the functionality of the desktop. The App allowed customers of HMV to browse the catalogue, find their nearest store and purchase products from within the App. The first version of the App was released in 2011 to great reviews and customer feedback. After the success of the first phase we were tasked to develop an App that would allow HMV customers to trade in their old Games. Customers were to be given the ability to scan a barcode and retrieve information on the asking and selling price for each game.